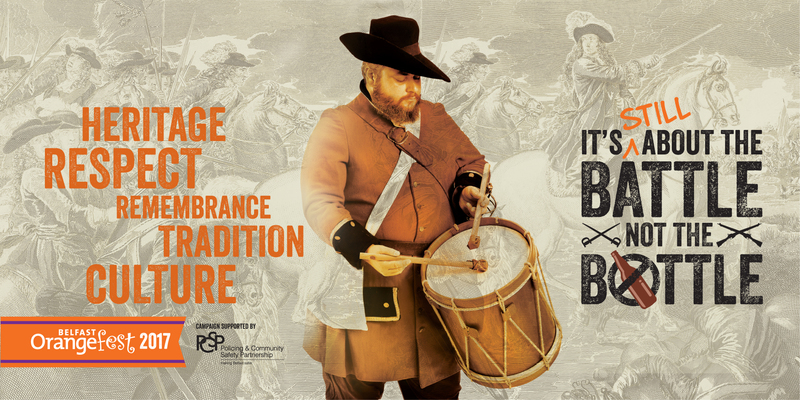 Belfast Orangefest have launched their latest campaign to encourage responsible and respectful behaviour around the Twelfth of July celebrations in the capital city. The initiative seeks to build on last year’s success in reducing the public consumption of alcohol and encouraging moderation. 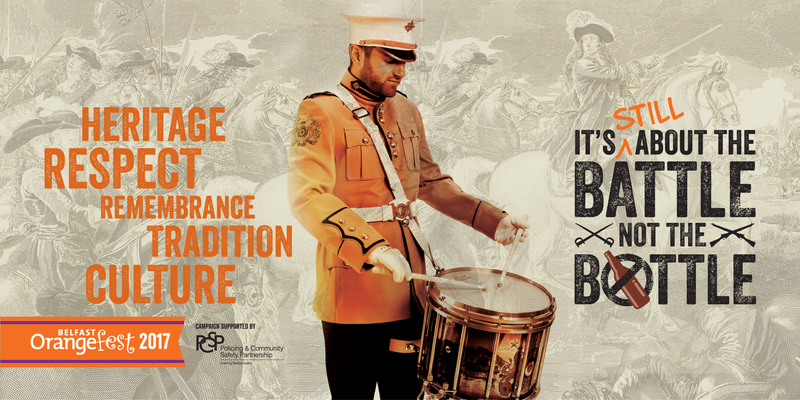 Posters promoting the ‘It still about the Battle, not the Bottle’ campaign will appear on over 90 buses and on billboards across Belfast in the run up to the Twelfth. 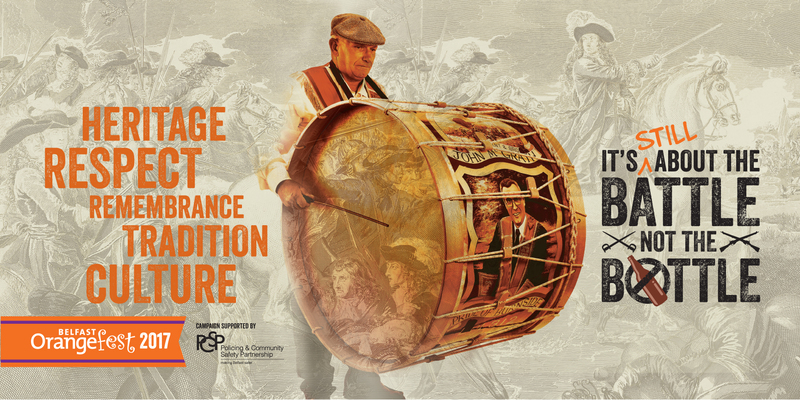 The innovative campaign will again promote health issues related to alcohol and encourage regular exercise, rather than just one ‘marathon’ outing a year on the Twelfth. The overlying message is underpinned by five keywords that reflect the purpose and ethos of the day; Remembrance, Heritage, Tradition, Respect and Culture. The positive impact of last year’s inaugural campaign to address the over indulgence of alcohol was outlined in an official report. The summary document detailed a noticeable reduction in alcohol consumption and visible on-street drinking, making the 2016 celebrations one of the best in years with larger crowds than usual in attendance. Copies of the report can be obtained by emailing grandsecretary@goli.org.uk.